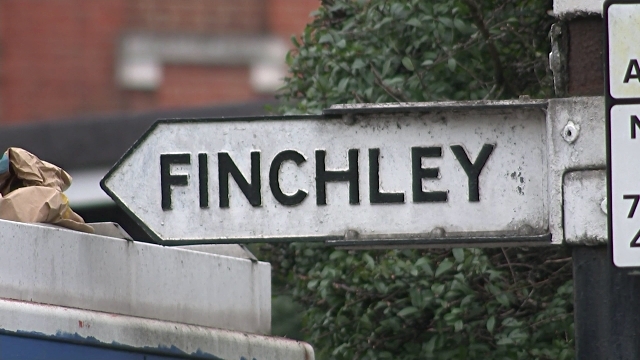 North Finchley is centred on Tally Ho Corner, the junction of the roads to East Finchley, Finchley Central and Whetstone. 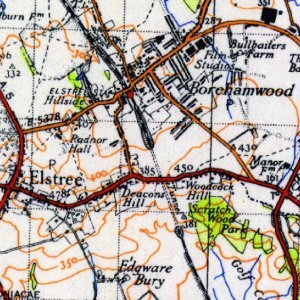 The name of the whole of the modern area covering North Finchley and neighbouring Whetstone was North End, a name first used in 1462. 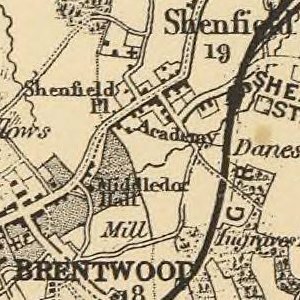 The rapid enclosure of the countryside in the first years of the nineteenth century meant the end of Finchley Common in 1816, opening up North Finchley from urbanisation - this still took a while nevertheless. 21 cottages were built in Lodge Lane during 1824 and by the 1830s there were other houses - even a chapel by 1837. 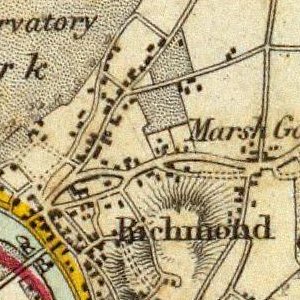 By 1839 North Finchley had a blacksmith (on Lodge Lane and not the High Road). 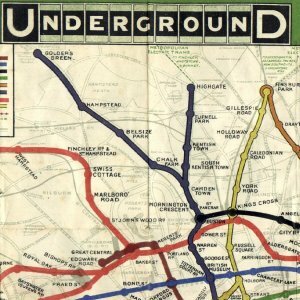 In 1851 there was a regular bus service from the ’Torrington’ to Charing Cross and next came the local railway lines. Christ Church was opened in 1870 and a new parish was formed in 1872. In 1905 the Metropolitan Electric Tramways started a route between Highgate and Whetstone - a tram depot was opened in Woodberry Grove. Trams and buses together promoted North Finchley’s development. Addington Drive, N12 Addington Drive leads from Sandringham Gardens to the High Road of Finchley. Beech Lawns, N12 Beech Lawns appeared for the first time in Kelly’s Directory of Finchley & Friern Barnet in 1938 as ‘Beech Court’. Bow Lane, N3 Mostly in London N12, a very small section of Bow Lane drifts into N3. Britannia Road, N12 Britannia Road was first built opposite the Swan with Two Necks pub. Buxted Road, N12 Buxted Road was laid out in 1913. Cardrew Avenue, N12 Cardrew Avenue dates from 1936. Cardrew Close, N12 Cardrew Close lies on the Cardrew House Estate. Castle Mews, N12 Castle Mews is one of the streets of London in the N12 postal area. Castle Road, N12 Castle Road was named after the Rev E Castle who owned the land on which the road was built. Chislehurst Avenue, N12 Chislehurst Avenue is one of the streets of London in the N12 postal area. Churchfield Avenue, N12 Churchfield Avenue is one of the streets of London in the N12 postal area. Churchfield Way, N12 Churchfield Way is one of the streets of London in the N12 postal area. Clifton Road, N3 Clifton Road is one of the streets of London in the N3 postal area. Crossway, N12 Crossway is one of the streets of London in the N12 postal area. Dale Grove, N12 Both Dale Grove and Hutton Grove were granted building leases in the 1870s. Derby Avenue, N12 Derby Avenue is one of the streets of London in the N12 postal area. Etchingham Court, N3 Etchingham Court consists of blocks of flats which date from 1935. Etchingham Park Road, N3 Part of the old Etchingham estate in Finchley was leased to Frederick Wheeler who built substantial brick houses in Etchingham Park Road. Fallow Court Avenue, N12 Fallow Court Avenue is one of the streets of London in the N12 postal area. Fenstanton Avenue, N12 Fenstanton Avenue is one of the streets of London in the N12 postal area. Finchley Court, N3 Finchley Court was one of the developments built on the site of large houses along Ballards Lane. Finchley Park, N12 Finchley Park was first constructed as Finsbury Road. 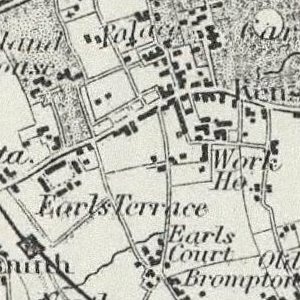 Friary Close, N12 Friary Close appears for the first time in Kelly’s Directory of Finchley & Friern Barnet in 1930. Friary Road, N12 Friary Road links Torrington Park and Friern Barnet Lane. Friary Way, N12 Friary Way dates from the late 1920s and was formerly a private road. Friern Park, N12 Friern Park was originnally part of Henry Holden’s Friern Park estate. Friern Watch Avenue, N12 Friern Watch Avenue is one of the streets of London in the N12 postal area. Garthway, N12 Garthway is one of the streets of London in the N12 postal area. Glebe Road, N3 Glebe Road is one of the streets of London in the N3 postal area. Glenhurst Road, N12 The planning application for Glenhurst Road was made in 1937. Grand Arcade, N12 Grand Arcade is one of the streets of London in the N12 postal area. Granville Place, N12 Granville Place is one of the streets of London in the N12 postal area. Grove Road, N12 Grove Road is one of the streets of London in the N12 postal area. Hilton Avenue, N12 Hilton Avenue is one of the streets of London in the N12 postal area. Holdenhurst Avenue, N12 Holdenhurst Avenue is one of the streets of London in the N12 postal area. Ingleway, N12 Ingleway lies to the south of Woodhouse Road. Kenver Avenue, N12 Kenver Avenue is one of the streets of London in the N12 postal area. Lambert Way, N12 Lambert Way is one of the streets of London in the N12 postal area. Leisure Way, N12 Leisure Way is one of the streets of London in the N12 postal area. Lewes Road, N12 Lewes Road is one of the streets of London in the N12 postal area. Mayfield Avenue, N12 Mayfield Avenue was built on the estate of the former Friern Watch House. Okehampton Close, N12 Okehampton Close was built on the site of a house called Okehampton. Park Cresent, N3 Park Cresent is one of the streets of London in the N3 postal area. Petworth Road, N12 Petworth Road runs from Woodhouse Road to Buxted Road. Queens Avenue, N3 Queens Avenue is one of the streets of London in the N3 postal area. Ravensdale Avenue, N12 Ravensdale Avenue was built on the estate of the former Friern Watch House. Regent Close, N12 Regent Close is one of the streets of London in the N12 postal area. Rosemont Avenue, N12 Rosemont Avenue is one of the streets of London in the N12 postal area. Sandringham Gardens, N12 Sandringham Gardens is one of the streets of London in the N12 postal area. Squires Lane, N3 Squires Lane - formerly Squires Place - runs across Finchley. .
Stanhope Road, N12 Stanhope Road is one of the streets of London in the N12 postal area. The Lindens, N12 The Lindens is one of the streets of London in the N12 postal area. The Woodlands, N12 The Woodlands is one of the streets of London in the N12 postal area. Torrington Avenue, N12 Torrington Avenue was built in 1935 as part of the Cardrew House Estate. Torrington Grove, N12 Torrington Grove is one of the streets of London in the N12 postal area. Warnham Road, N12 Warnham Road is one of the streets of London in the N12 postal area. Woodberry Gardens, N12 Woodberry Gardens is one of the streets of London in the N12 postal area. Woodberry Grove, N12 Woodberry Grove runs south from Ballards Lane. Woodlands Avenue, N3 Woodlands Avenue is one of the streets of London in the N3 postal area. I have a question rather than a comment. When was 80 Hutton Grove built? My parents, Eddie and Margaret Hapgood, lived at 80 Hutton Grove from 1934 until sometime during the war,and I would love to know if they moved into a new-build house during the big suburban expansion in the 1930s. Does anyone out there know?! I visited very recently to see the road and the frontage of the house for the first time. The Liberal Democrats say they are ready to listen to the community as they strive to win seats at next month’s local elections in Hertsmere. A major sports retailer is opening at a shopping centre this weekend. Schools unable to deal with children with behavioural problems and learning difficulties is leading to an increase in exclusions, a report has claimed. A garage has had its bid to expand turned down after neighbours claimed they would be forced to suffer more noise and air pollution. Lodge Lane has existed since the late eighteenth century. Here is your travel update for April 14. A woman has been jailed for 15 years for stabbing her husband to death in a drunken argument. Ever wanted your very own Dracarys dragon egg? Well here’s your chance. There will be an increased police presence around transport hubs and in public spaces in a bid to tackle violence during the Easter holidays. Just over 10 per cent of people in London know how to contact their local police officer.